Documentamos el impacto de la Reaganomics y su legado de largo plazo. Los datos indican que el crecimiento económico no fue particularmente impresionante después de los recortes de impuestos de 1981. El pib simplemente retornó al potencial y su tasa de crecimiento no fue superior a las tasas logradas en décadas anteriores o posteriores. Los supuestos incentivos de la economía de la oferta no se materializaron. La gente no trabajó más, no ahorró ni invirtió más, y el efecto de goteo fue insignificante, como el de la melaza. En cambio, la presidencia de Reagan fue una línea divisoria en el desarrollo económico de Estados Unidos en el sentido de que revirtió muchos de los logros del New Deal e inauguró una era en la que la desigualdad aumentó sustancialmente, los salarios de los trabajadores poco calificados iniciaron un largo periodo de descenso y la participación del trabajo en el pib siguió disminuyendo. El legado de Reagan es una economía dual que acompañó al deterioro de la clase media, la desregulación que llevó a la crisis financiera, un enorme incremento de la deuda nacional, del 30% al 50% del pib, que no pudo ser detenido posteriormente y es superior al 100% en 2018, el antiestatismo que contribuyó al ascenso del trumpismo, un desmesurado aumento de la desigualdad que dio origen a una oligarquía y a una plutocracia, y el abandono de los trabajadores de overol que eventualmente se convirtieron en los deplorables de Hillary. En otras palabras, nada goteó hacia las mayorías. Los ricos y los súper ricos recibieron todos los beneficios de los recortes de impuestos. Este es el verdadero legado de la economía de la oferta de la administración Reagan. PhD en Historia y Economía de la Universidad de Chicago. Profesor Emérito de la Universidad de Múnich, Alemania. Auerbach, A., Gokhale, J. & Kotlikoff, L. (1991). Generational accounts: A meaningful alternative to deficit accounting. NBER Working Paper No. 3589, January. Barro, R. (2017). How US Corporate-Tax Reform Will boost Growth. Project Syndicate December 13. Bartels, L. (2016). Unequal Democracy: The Political Economy of the New Gilded Age. 2nd edition, Princeton: Princeton University Press. Beckhusen, J. (2016). American Community Survey Reports. Occupations in Information Technology. August, No. 3. Bernheim, B. (1988). Budget Deficits and the Balance of Trade. In: Lawrence Summers (ed. ), Tax Policy and the Economy (vol. 2, pp. 1-32). Cambridge, MA: MIT Press. Bivens, J., Gould, E., Mishel, L., & Shierholz, H. (2014). Raising America’s Pay. Why It’s Our Central Economic Policy Challenge. Economic Policy Institute, June 4. Board of Governors of the Federal Reserve System. (2018). Report on the Economic Well-Being of U.S. Households in 2017. May. Burch, P. H. (1997). Reagan, Bush, and Right-Wing Politics: Elites, Think Tanks, Power and Policy. Greenwich, Conn: Jai Press. Cochrane, E. (2017). Paul Ryan Deletes Tweet Lauding a US$1.50 Benefit From the New Tax Law. The New York Times, February 3. Dettling, L., Hsu, J., Jacobs, L., Moore, K., & Thompson, J. (2017). Recent Trends in Wealth-Holding by Race and Ethnicity: Evidence from the Survey of Consumer Finances. FEDS Notes. Washington: Board of Governors of the Federal Reserve System, September 27. Dickerson, J. (1993). Battling Boeskys. Time, May 3. Farber, H., Herbst, D., Kuziemko, I., & Suresh, N. (2018). Unions and Inequality over the Twentieth Century: New Evidence from Survey Data. NBER Working Paper No. 24587. Faux, J. (2012). The servant economy: Where America's elite is sending the middle class. New York: Wiley. Feldstein, M. (2017). Cutting US corporate tax is worth the cost. Project Syndicate, November 27. Feldstein, M. (1993). Tax Policy in the 1980s: A personal view. NBER Working Paper No. 4323. Feldstein, M. (1989). Tax Policy for the 1990s: Personal Saving, Business Investment, and Corporate Debt. American Economic Review, 79(2), 108-112. Feldstein, M. (1986). Supply Side Economics: Old Truths and New Claims. American Economic Review, 76(2), 26-30. Fleck, S., Glaser, J., & Sprague, S. (2011). The compensation-productivity gap: A visual essay. Monthly Labor Review, January, 57-69. Formisano, R. (2015). Plutocracy in America: How Increasing Inequality Destroys the Middle Class and Exploits the Poor. Baltimore: Johns Hopkins University Press. Frank, T. (2004). What’s the matter with Kansas? How Conservatives won the heart of America. New York: Metropolitan Books. Friedman, B. (1990). Reagan Lives! The New York Review of Books. December 20. Friedman, B. (1988). Day of Reckoning: The Consequences of American Economic Policy. New York: Random House. Friedman, B. (1983). Implications of the Government Deficit for U.S. Capital Formation. The Economics of Large Government Deficits. Federal Reserve Bank of Boston, Proceeding of a Conference Held in October 1983, pp. 73-95. Fullerton, D. (2008). Laffer Curve. In: The New Palgrave Dictionary of Economics, 2nd ed. Basingstoke, UK: Palgrave Macmillan. Galbraith, J. (2008). The Predator State: How Conservatives abandoned the free market and why Liberals should too. The Free Press. Galbraith, J. K. (1982). Recession Economics. The New York Review of Books, February 4. Gilens, M. and Page, B. (2014). Testing Theories of American Politics: Elites, interest groups, and average citizens. Perspectives on Politics, 12(3), 564-581. Hacker, J., & Pierson, P. (2016). American Amnesia: How the War on Government Led US to Forget What Made America Prosper. New York: Simon & Schuster. Hacker, J., & Pierson, P. (2010). Winner-Take-All Politics: How Washington made the rich richer-and turned its back on the middle class. New York: Simon & Schuster. Johnston, D. (2018). It’s even worse than you think: What the Trump Administration is doing to America. New York: Simon & Schuster. Komlos, J. (2018). The economic roots of the rise of Trumpism. Cesifo Working Paper No. 6868, January, www.ifo.de/w/3DkniyZQ2; forthcoming in Journal of Contextual Economics, Schmollers Jahrbuch. Komlos, J. (2016a). Growth of income and welfare in the U.S., 1979-2011. NBER working paper No. 22211; http://www.nber.org/papers/w22211. Komlos, J. (2016b). Another road to Serfdom. Challenge: The Magazine of Economic Affairs, 59(6), 491-518. Cesifo Working Paper No. 5967. Komlos, J. (2014). The Banality of a Bureaucrat, Timothy Geithner and the Sinking of the U.S. Economy. Challenge: The Magazine of Economic Affairs, 57(5), 87-99. Krugman, P. (2004). An Economic Legend. The New York Times, June 11. Kwak, J. (2017). Economism: Bad Economics and the Rise of Inequality. New York: Pantheon Books. Laffer, A. (1981). Government Exactions and Revenue Deficiencies. Cato Journal, 1(1), 1-21. Lasch, C. (1988). Reagan’s Victims. The New York Review of Books, July 21. Leamer, E. (2001). The Life Cycle of US Economic Expansions. NBER Working Paper No. 8192, March. Levitsky, S., & Ziblatt, D. (2018). How Democracies Die. New York: Crown Publishing. MacLean, N. (2017). Democracy in Chains: The Deep History of the Radical Right’s Stealth Plan for America. New York: Viking Penguin. Mankiw, N., & Weinzierl, M. (2006). Dynamic scoring: A back-of-the-envelope guide. Journal of Public Economics, 90(8-9), 1415-1433. Mann, T., & Ornstein, N. (2012). It’s Even Worse Than it Looks: How the American Constitutional System collided with the New Politics of Extremism. New York: Basic Books. Mayer, J. (2016). Dark Money: The Hidden History of the Billionaires Behind the Rise of The Radical Right. New York: Doubleday. McCartin, J. (2007). Professional Air Traffic Controllers Strike, 1981. In: E. Arnesen, Encyclopedia of U.S. Labor and Working-class History, vol. 1, p. 1126. Mishel, L. (2012). Unions, inequality, and faltering middle-class wages. Economic Policy Institute Report, August 29. Modigliani, F. (1988). Reagan’s Economic Policies: A Critique. Oxford Economic Papers, 40(3), 397-426. Page, B., & Gilens, M. (2017). Democracy in America? What Has Gone Wrong and What We Can Do About It. Chicago: University of Chicago Press. Peterson, W. (1988). The Macroeconomic Legacy of Reaganomics. 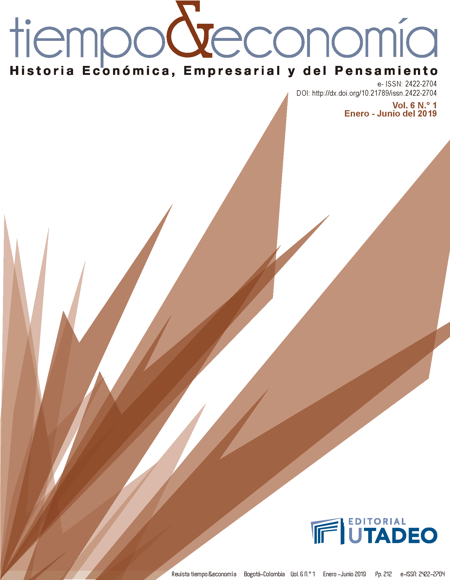 Journal of Economic Issues, 22(1), 1-16. Phillips-Fein, K. (2009). Invisible hands: The making of the Conservative Movement from the New Deal to Reagan. New York: W. W. Norton. Piketty, T., & Saez, E. (2007). How Progressive is the U.S. Federal Tax System? A Historical and International Perspective. Journal of Economic Perspectives, 21(1), 3-24. Piketty, T., & Saez, E. (2014). Inequality in the long run. Science 344. May 23, issue 6186, 838-843; supplement 1-8. Ravitch, D. (2017). Big Money Rules. The New York Review of Books, December 7. Rohatyn, F. (1981). Reconstructing America. The New York Review of Books, March 5. Rothschild, E. (1982). The Philosophy of Reaganism. The New York Review of Books, April 15. Rothschild, E. (1981). Reagan and the Real America. The New York Review of Books, February 5. Schlozman, K., Verba, S., & Brady, H. (2012). The Unheavenly Chorus: Unequal Political Voice and the broken Promise of American Democracy. Princeton: Princeton University Press. Smith, H. (2012). Who Stole the American Dream? New York: Random House. Smith, Y. (2010). ECONned: How Unenlightened Self Interest Undermined Democracy and Corrupted Capitalism. New York: Macmillan Palgrave. Stiglitz, J. (2016). What America’s Economy Needs from Trump. Project Syndicate, November, 13. Stiglitz, J. (2013). The Price of Inequality, 2nd paperback edition. New York: W.W. Norton & Company. Originally published in 2012. Temin, P. (2017). The Vanishing Middle Class: Prejudice and Power in a Dual Economy. Cambridge: The MIT Press. Thurow, L. (1983). The Elephant and the Maharajah. The New York Review of Books, December 22. Timiraos, N., & Shin, Y. (2017). How Tax Cuts Affect Revenue. Wall Street Journal, December 21. Trabandt, M., & Uhlig, H. (2011). The Laffer Curve Revisited. Journal of Monetary Economics, 58(4), 305-327. Yellen, J. (1989). Symposium on the Budget Deficit, Journal of Economic Perspectives, 3(2), 17-21.